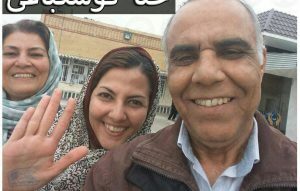 Hana Kushkabaghi ( هنا کوشکباغی ) from Gonbad-e Kabus, was released from the “integrated prison’ there On February 5, after serving one third of her sentence of one year and nine months. Her release is conditional. She began her sentence on October 11, 2017, but the time she was detained before her trial would also be counted. She was one of 22 Bahais of Golestan Province who were arrested on October 17, 2012. They were charged with collaborating with hostile governments, effective activities to promote the goals of a sect and of anti-Islamic and anti-Shiah hostile governments, and with making propaganda in favour of the Bahai Faith and against the regime of the Islamic Republic, by participating in the ‘Ruhi program’ (Bahai catechism) in Golestan Province. She was originally sentenced to 9 years, but this was reduced by the Review Court. Payam News (Facebook), October 25, 2017. At least 21 Bahai-run businesses in Mahshahr (Khuzestan Province) have been closed down by the authorities because they were closed on a Bahai Holy Day. It is notable that sixteen of these businesses were run by members of the Afshar family. The businesses included an aluminum door and window supplier, a shop for locks and door fittings, a hardware shop, a drapery and a clothing store, two electric appliance shops, a TV showroom, two shops selling car parts and accessories, a workshop manufacturing goods from MDF wood and a supplier of ventilation equipment. An informed source said that only two Bahai-owned businesses in the city have continued to operate. Another 28 Bahai-run businesses have been shut down in Shiraz, Gonbad-e-Kavus and Gorgan, along with 40 in the Province of Golestan.